Daniel Varela has been one of those engaged members and amassed 374 points in February alone! Answering bunches of questions about SAML, SSO, Cookies and more, we’re proud to name Daniel as our Featured Member for April. DevCentral: Hi Daniel and thanks for helping many of our members! Please explain to the DC community a little about yourself, what you do and why it’s important. 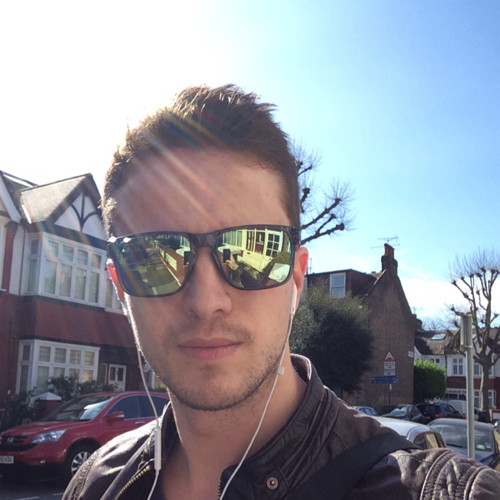 Daniel: I am an ADC/GSLB/WAF SME currently working for Centrica PLC. My job entails load balancing applications, availability and security. My work experience is mainly around network security. I chose to work in security because you never get bored of it, there is always something new to learn which is what I love. I have been actively working with F5 devices for the last 10 years. I still remember when I first heard about iRules, I was really impressed with the possibilities it provided. Additionally, with a BIG-IP you can learn about a lot of technologies: HTTP, TLS, DNS, SAML, OAuth, Web acceleration, Web Application Firewall… I am probably missing technologies here but you get the idea. This is one of the reasons I am working with F5, fun is guaranteed. DC: You are a former F5 employee (2014-17) and continue to be a very active contributor in the DevCentral community. What keeps you involved? DV: I have always thought (and I always say to my customers) that DevCentral makes a difference in respect to any other vendor. The amount of information someone can find there is incredible and if what you are looking for is not there you just have to ask, people from all around the world will help you to do whatever you want to do (event the craziest things), there is always an iRule for that . For this reason I like to participate as much as I can, I have found a lot of help there and I feel like I have to return the favor (and it is also fun to see what people are trying to do with F5). DC: Tell us a little about the areas of BIG-IP expertise you have and your F5 Certifications. Why are these important and how have they helped with your career? DV: My experience with F5 has been pretty much with all the modules: LTM, ASM, APM, GTM, AFM, Silverline and a bit of WebSafe. I was an F5 consultant for 3 years meaning it gave me a great opportunity to learn a lot about all those modules. This provided me with a lot of knowledge and helped me to get the F5 Certification F5-CSE Security. I would recommend to everyone to make an effort and get it, in my experience companies really value this accreditation. DV: The biggest challenges for me have always been around BIG-IP APM. APM is probably the module which you can expand on the most, some things are not there by default but with the help of iRules you always find a way to get what you need. The last challenge was to expand SAML IDP capabilities by providing step-up authentication using authentication contexts available in the protocol itself. It may sound simple but just because how APM and SAML is designed it was tricky. DV: Finally, I have always wanted to work in IT but if I wasn’t doing this I think I would be a fireman. I love sports and being active so I think it’s a job I could do. Thanks Daniel! Check out all of Daniel’s DevCentral contributions and connect with him on LinkedIn.